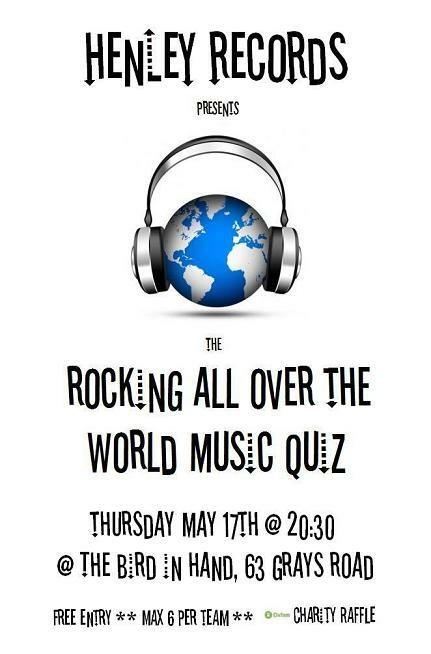 The next Henley Records Music Quiz at the Bird in Hand takes place on Thursday 17th May 20:30. This month we have a themed quiz - Rocking All Over The World... So see you there...don't forget to turn up early to guarantee getting a seat.